Spider is a beautiful female from our first Onyx X Ruger litter. Spider is a quiet, well-mannered girl who loves birds. 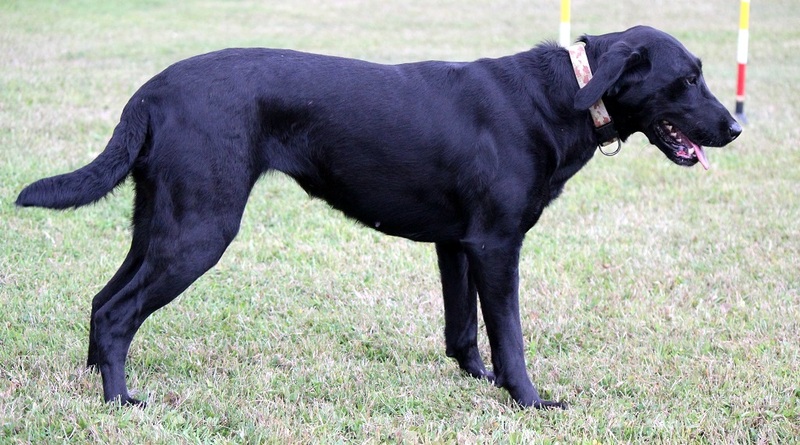 She was an overachiever as a puppy and has been retrieving big ducks since she was 9 weeks old. She is very athletic and powerful in a slim build; she is calm, and gentle with excellent self control. But despite her quiet, controlled nature, Spider loves to train! She is the kind of dog that anyone could train for almost any purpose- a truly versatile Eromit lab, and a pleasure to live with. Hailing from a long line of field trial champions, Spider’s pedigree holds the names of some of the sports all-time greats. She has an incredible nose and knows how to use it. She lives to please and loves to do whatever her humans are doing – hunting, hiking, or snuggling on the couch. 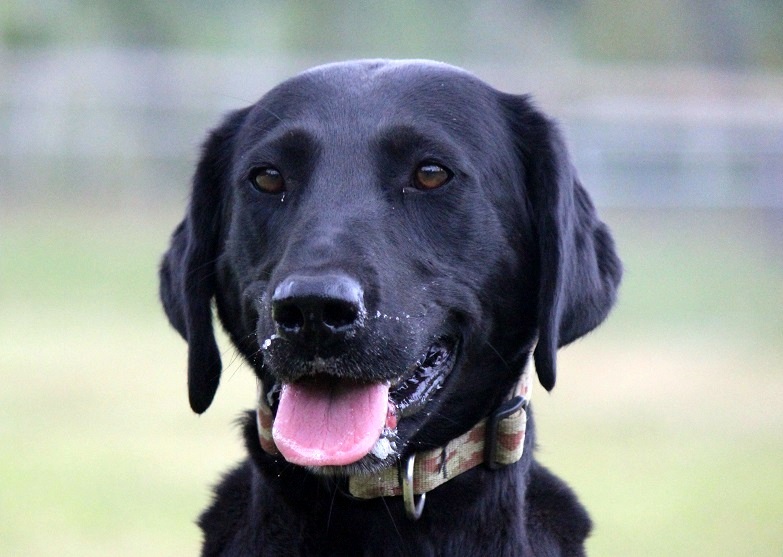 Spider’s current job is as our main shed antler hunter and she is also a lead dog on our all-Lab sled team. She has a big splash water entry so we may dabble in some dock jumping with her as well. Spider’s siblings are a talented lot and include an Avalanche Search and Rescue dog and Agility Champion sister (also titled in obedience/hunt tests/working certificate). Puppies from Spider’s first litters are excelling/titling in agility (currently top 5 on the AKC Labs list), obedience, dock jumping and hunt tests and as extremely biddable family pets. We currently have a repeat Spider x Chester breeding due October 31st – this is expected to be Spider’s last litter.